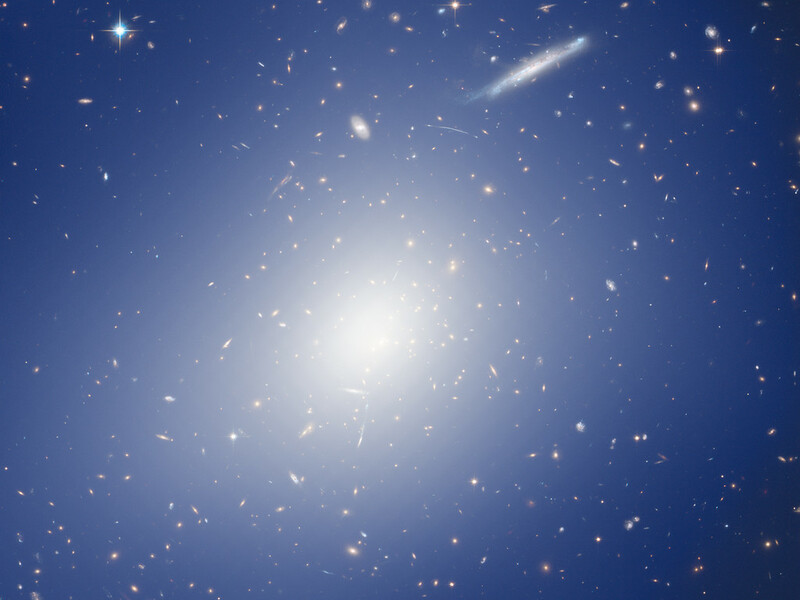 This image shows something spectacular: a massive galaxy cluster that it is warping the space around it! 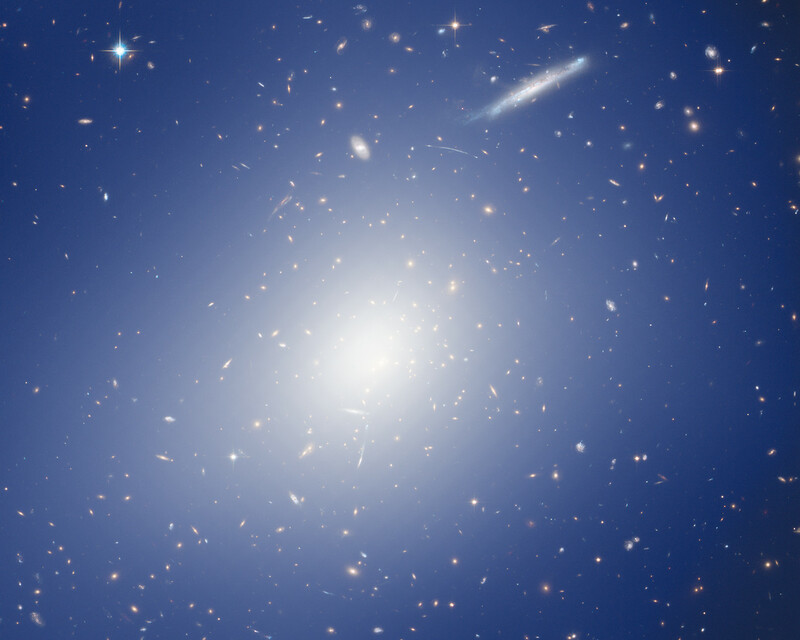 The cluster, whose heart is at the centre of the frame, is named RCS2 J2327, and is one of the most massive clusters known at its distance or beyond. Massive objects such as RCS2 J2327 have such a strong influence on their surroundings that they visibly warp the space around them. 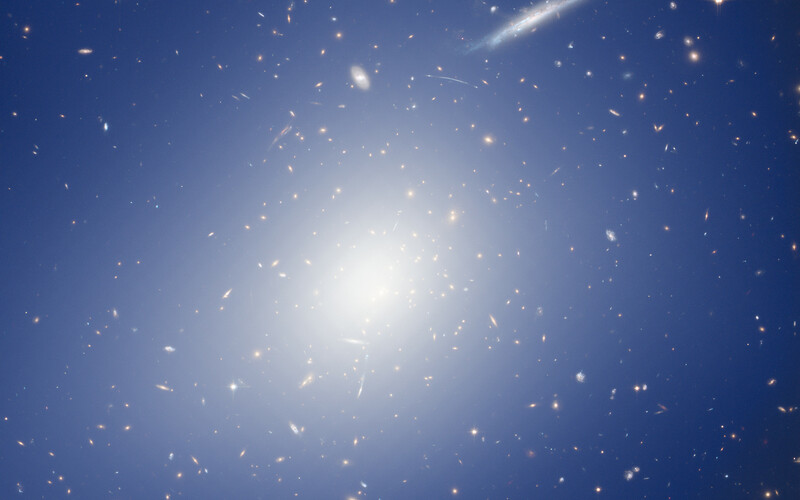 This effect is known as gravitational lensing. 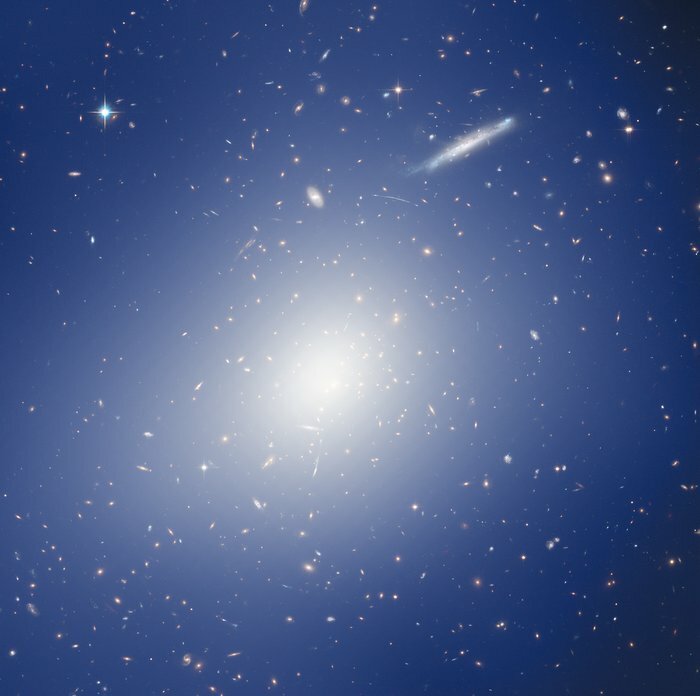 In this way, they cause the light from more distant objects to be bent, distorted, and magnified, allowing us to see galaxies that would otherwise be far too distant to detect. Gravitational lensing is one of the predictions of Einstein's theory of general relativity. Strong lensing produces stunning images of distorted galaxies and sweeping arcs; both of which can be seen in this image. Weak gravitational lensing, on the other hand, is more subtle, hardly seen directly in an image, and is mostly studied statistically — but it provides a way to measure the masses of cosmic objects, as in the case of this cluster. This image is a composite of observations from the HAWK-I instrument on ESO’s Very Large Telescope and the NASA/ESA Hubble Space Telescope’s Advanced Camera for Surveys. It demonstrates an impressively detailed collaborative approach to studying weak lensing in the cosmos. The study found RCS2 J2327 to contain the mass of two quadrillion Suns! The diffuse blue and white image covering the picture shows a mass map. It is connected to the amount of mass thought to be contained within each region.